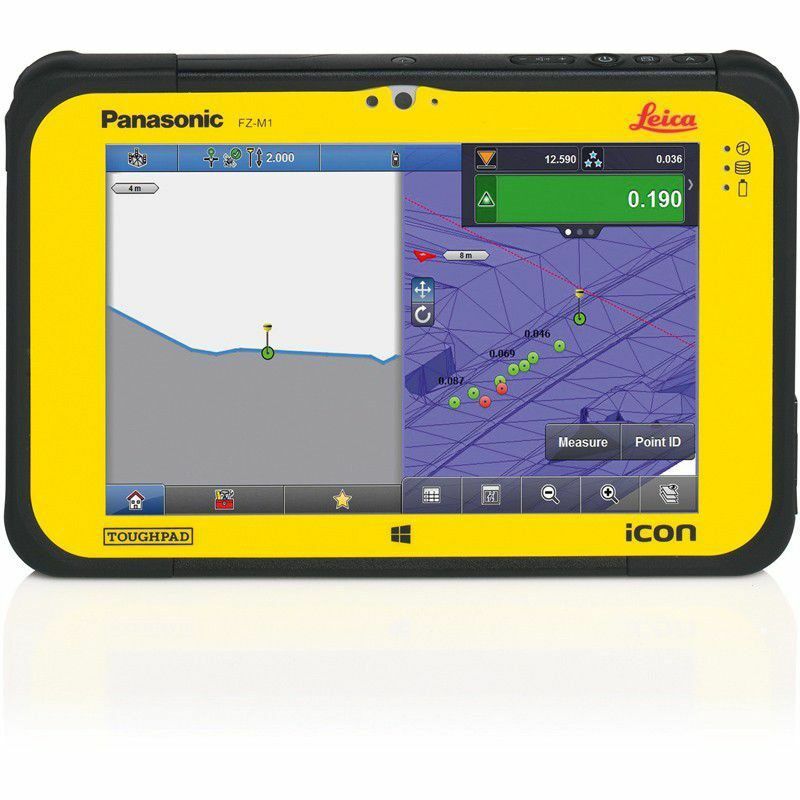 Leica iCON CC80 controller is the world’s thinnest and lightest fully-rugged 7” Windows® tablet. It is built to enable easy, mobile work on-site and increase worker productivity without compromise. Powered by Windows® 8.1 Pro and an Intel® Core i5 processor, Leica iCON CC80 features a long life, user-replaceable battery and a daylight readable multi-touchscreen with high sensitivity for easy operation in all conditions. 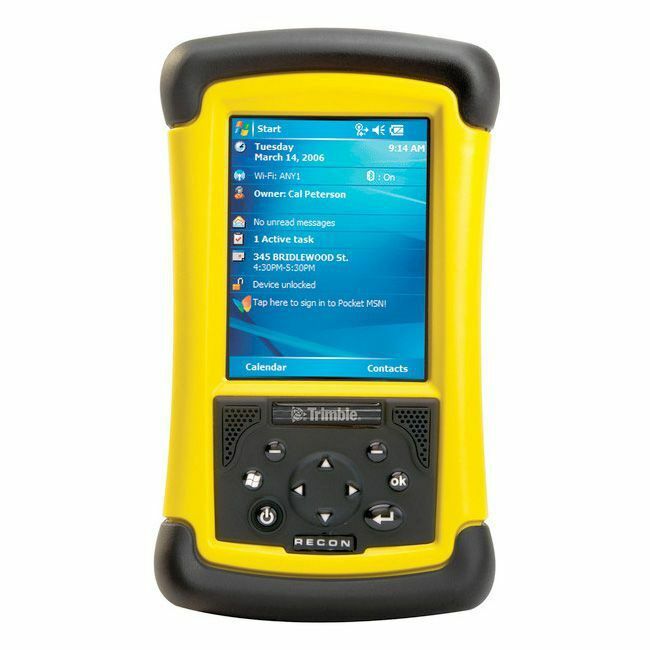 Smart, tough and loaded with features The TDS Ranger rugged handheld computer offers outstanding performance even in the most challenging work environments. The Ranger's Windows CE operating system and capacity of up to 512 MB of Flash memory make it easy for you to handle large, complex jobs. And the Ranger has a 206 MHz Intel StrongARM processor, so it can quickly process even the most graphic-intensive applications. The Ranger's carbon-fiber construction makes it lightweight yet rugged. And its soft polyurethane exterior provides great grip in any weather. Separate navigation, alpha and numeric keypads are widely spaced to make it easy to operate even when you're wearing gloves. The tds recon™ from tripod data systems™ delivers maximum performance and reliability in a lightweight and extremely rugged design that’s easy to carry. The waterproof recon weighs just 17 ounces, and it meets military specifications for drop, vibration and both high and low temperature operation. The recon works wherever and whenever you need it. 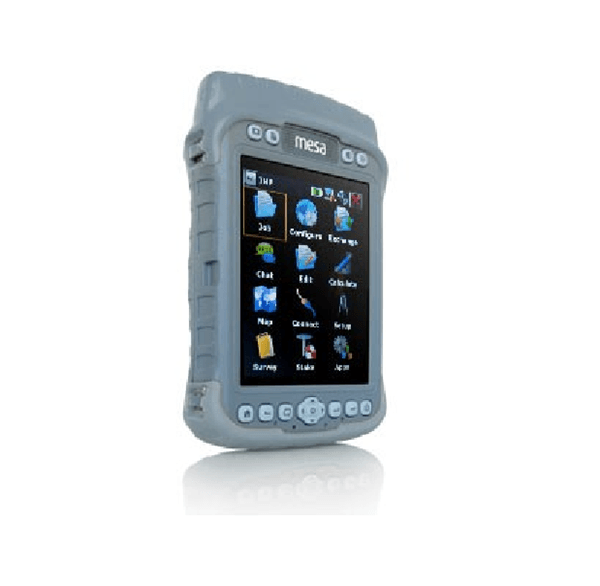 You can count on recon when portability, data security and maximum operating time are crucial. The innovative modular design saves time and money on long-term service and provides customization options to suit your different applications. The powerboot module™ integrates a 3800 mah battery pack with industry-standard 9-pin serial and usb ports into a single component you can easily replace even in the field. A standard cf-cap™ o-ring seal protects the two compactflash slots from rain, wind and dust. Two optional modules add even more versatility: the extended cf-cap™ provides room for large compactflash cards such as gps, lan and wireless modems, and the aa powerboot module™ lets you run the recon for eight to 16 hours on two aa alkaline or lithium batteries. 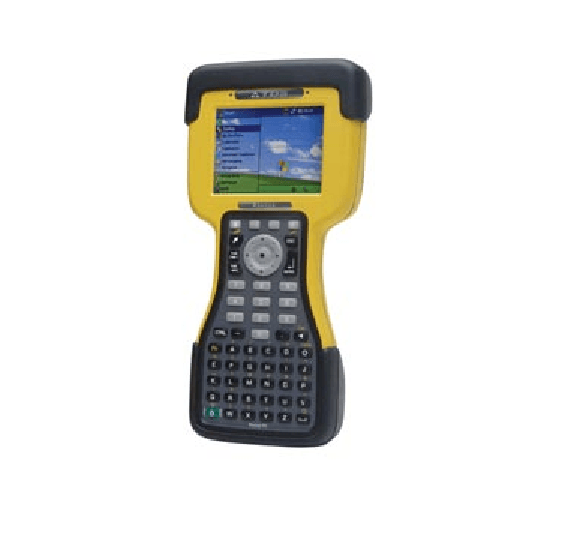 Trimble lm80 handheld controller the rugged trimble controller lets you carry, manage, work with, and lay out your jobsite blueprint in a digital format. On the jobsite the wlan feature allows you to connect wirelessly to the robotic total station, eliminating cables and providing maximum flexibility as you move around the site. In addition the controller hardware connects to a wireless network to enable the transfer of data and information between the office and field. 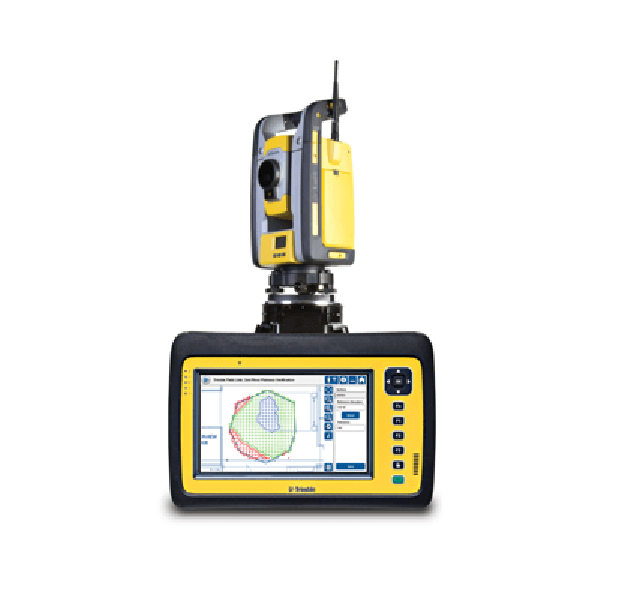 Reducing delays associated with travel and ensuring field crews have the most up-to-date design information the core of the connected site the pocket-sized trimble lm80 layout manager lets you carry, manage, work with, and lay out your job site blueprint. 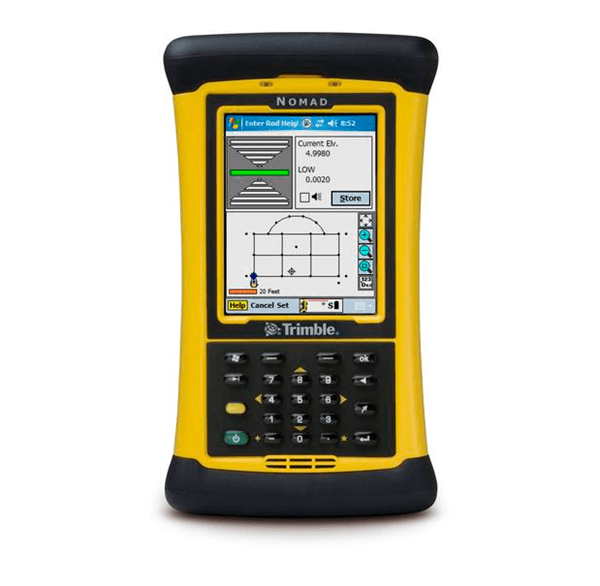 This convenience, combined with the power of wireless communication for design updates, a common user interface and specialized software make the lm80 a revolutionary tool and the heart of the connected construction site. Rugged cross-over controller for all field applications. With its large, high-contrast touchscreen, feature-rich operation, and application-expanding options MESA is much more than a data collector. It’s a workhorse. Connectivity includes standard Bluetooth® and Wi-Fi for effortless compatibility and convenience. MESA features include SD and SIM cards slots for essentially limitless memory, and rechargeable batteries with up to 16 hours of operation. An environmental rating of IP67 means it can withstand a 4 ft. drop and is waterproof even when submersed. Optional features include internal GPS receiver and cellular modem to add RTK or network functionality, or a 3.2MP camera. There's even a docking station so your MESA can be configured for in-cab mounting for site managers. Trimble Field Link for Structures links design to reality providing users with access to the latest tools for increasing productivity and accuracy during the construction layout process. With emphasis being placed on Virtual Design and Construction (VDC) and Building Information Modeling (BIM), Trimble Field Link for Structures is the ideal solution for enhancing field operations for BIM workflow. Overlay 2D line-work imported from CAD files onto the live imagery from the robotic total station, taking the guess work out of point lay out and as built reporting. Visualize the finished product during construction using the 3D Model viewer—identifying issues before they arise. View images from the instrument camera- in camera mode see crosshairs, line-work and point data overlaid on the image. Populate the Layout Point List using common layers, descriptions or selecting points from a list or map. Visualize job and layout based on a user's level of detail need. Utilize timely and accurate reporting capabilities to enhance communication in the field (Layout Deviations, Daily Layout Summary, and Field Reports).